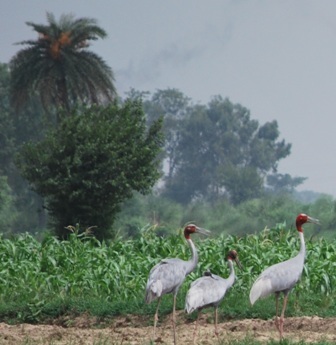 When I started blogging a month ago , one of the first posts were those of these magnificent birds called THE SARUS CRANES (Grus antigone ) .Posted them under a title URBAN FORESTS, do check it out. They are the largest flying cranes ( males grow upto 6ft ) in the WORLD . 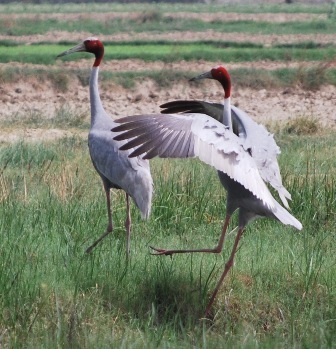 To know more check out https://en.wikipedia.org/wiki/Sarus_crane. Unfortunately these could be last sightings of this unique and very special Crane in this location as the area has been earmarked for “ high-rise buildings “. 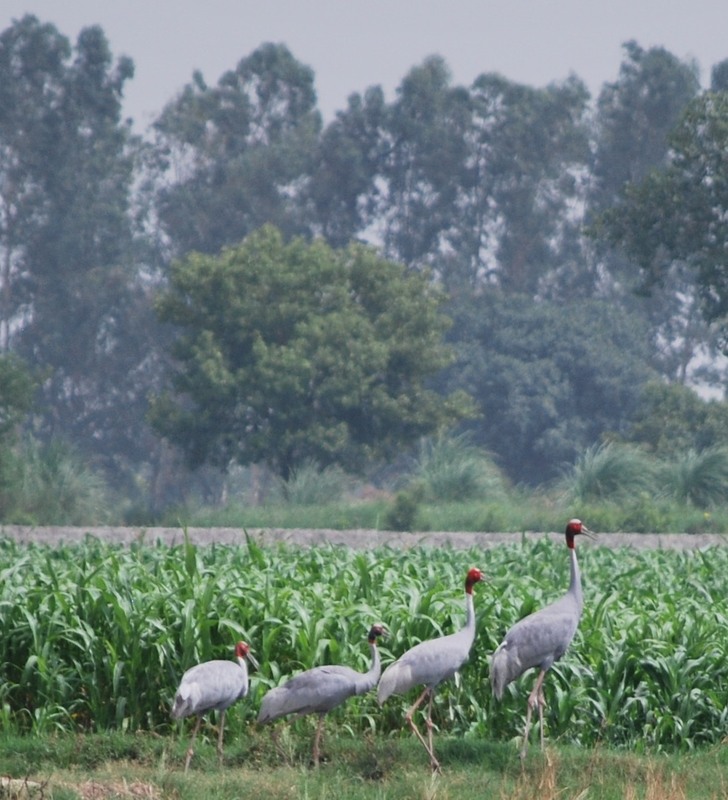 These romantic and gorgeous Sarus Cranes are losing their habitat rapidly and are marked VULNERABLE by IUCN. They are, as you read in Wikipedia , Google etc,. Unique to INDIA. The joy of spotting and locating these birds in the wetlands and paddy fields is unparalleled..It is neither a zoo, a national park, or a bird sanctuary , these wetlands are their homes. They come and go as they please, in absolute FREEDOM. You will visit them in their homes without any tickets or permissions. 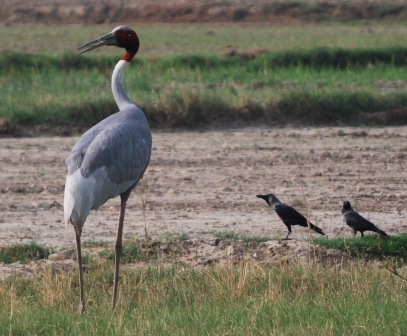 In order to give an idea of the size of the Sarus, is this picture of a single male Sarus Crane with two crows for company. 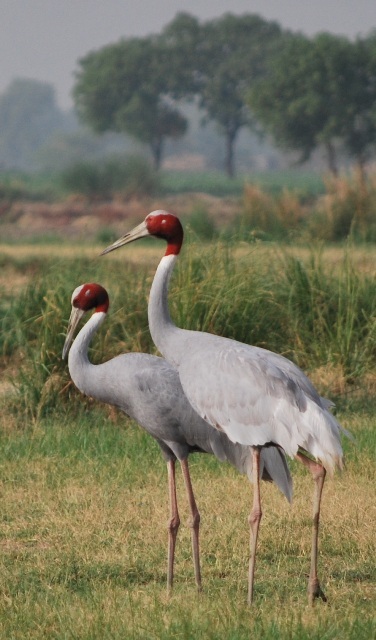 The Sarus Cranes bond for life, they are MONOGAMOUS for LIFE. Both male and female take turns in nursing their eggs. The mating display is spectacular and can beat any Opera in the World hollow. Do notice the backdrop as well , it is their natural habitat. Now they are three. Sorry, it’s a party of Four. Pack your cameras and rush before blocks of cement and tonnes of Steel are poured on these rich wetlands and fields , converting their homes into our homes. It reminds me of the movie AVATAR in which vast forests of the planet Pandora are destroyed. The difference being: this is for REAL . hope we will open our eyes before they too become vulnerable!